Trail riding has become incredibly popular in recent years. Trail bikes are a perfect blend between a bike that is lightweight and a bike that can ride aggressive trails. So riders can experience the benefits of a bike that can descend well and a bike that can ascend well. 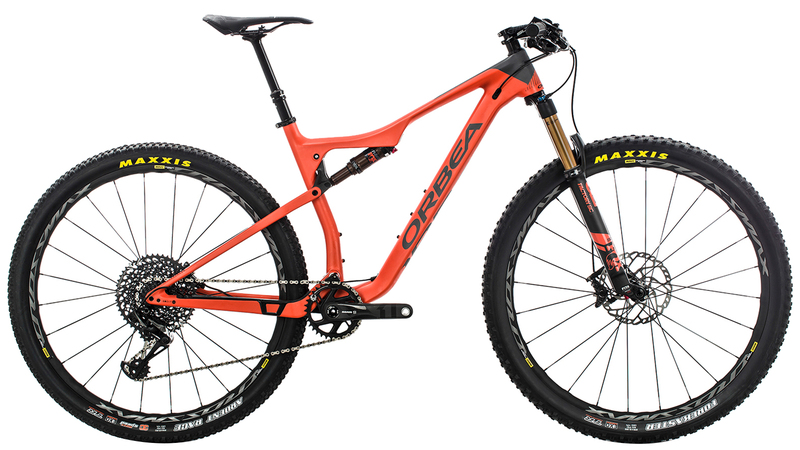 The 2019 Orbea Oiz M10-TR 29" Bike is a trail bike that has 120mm of travel and a carbon fiber frame. It features a Fox 34 Float SC Factory FIT4 fork with a Fox i-Line DPS Factory rear shock. The M10-TR of the Orbea Oiz comes with a SRAM X01 Eagle drivetrain that includes a SRAM X01 Eagle rear derailleur and a SRAM GX Eagle shifter. With Eagle, riders will be able to enjoy the benefits of an ultra-wide cassette so they can climb effortlessly but still bomb downhill and charge on the flats. The brakes are provided by Shimano with their XT M8000 hydraulic disc brakes that provide confidence-inspiring braking power. The Mavic Crossmax Elite wheelset is paired with Maxxis Ardent tires and are both tubeless ready so riders can drop the tire pressure for better traction and increased traction. With the Race Face Aeffect Dropper Post riders can easily lift and lower their saddle so they can ascend and descend seamlessly. If you're looking for a fun trail bike that will take you everywhere you want to ride, then you'll love the 2019 Orbea Oiz M10-TR 29" Bike. 155 - 170 cm 65.0" - 70.9"
165 - 180 cm 70.1" - 74.8"
178 - 190 cm 72.8" - 78.0"